The anticipated restaurant, Del Pietro’s, at 1059 South Big Bend Boulevard in Richmond Heights, is in the build-out stage — currently it’s in unpainted wall board — judging from a peek inside from a front window on Friday. St. Louis Magazine (via editor George Mahe on Twitter) reported in December that owner Mike Pietro had tried to open in December, but said then that late January is realistic. The building at the corner of S. Big Bend Boulevard and Clayton Road changed hands recently. Alex Waldbart Florist and Jon Paul Designs and Collectibles previously were tenants there; it’s now owned by Total Access Urgent Care, which plans to demolish the building and replace it with a new Total Access Urgent Care business. The florist shop’s last day in business was Dec. 31. The urgent care business gave them through the year to complete the holiday season. The Crossing at Richmond Heights, under construction at Dale Avenue and Hanley Road will include a Marriott hotel, a Red Robin, and five other businesses, according to an employee in a Brinkmann Construction trailer on the site. In addition to the Marriott Courtyard, a Red Robin restaurant will occupy an outbuilding on the west side of the property, along Hanley Road. The shared building will house a Starbucks, a Cyclebar fitness business, a Vitality Bowls Superfood Cafe (according to Google it’s already open, see below), a Firehouse Subs and a Blaze Pizza. The employee said the soonest something might open would be the Red Robin, in April or May. Waldbart Florist closed at 7000 Clayton Road on New Year’s Eve, never to reopen at the location again. It was there since the 1960s. The owner found out in August that the building is set to be demolished and replaced with a new Total Access Urgent Care business. Waldbart Florist is set to reopen at 7801 Clayton Road on January 8. St. Louis Magazine reported in June that a recreation of Del Pietro’s House of Pasta, which opened on Hampton Avenue in 1976 and closed in 2011, was planning to reopen in the former Riverbend Restaurant & Bar and Harvest, at 1059 S. Big Bend. There have been questions about how that’s coming along. St. Louis Magazine editor George Mahe responded on Twitter that owner Mike Pietro tried to open this December, but now says late January is realistic. Richmond Heights officials, at the council meeting on Monday, recognized Telle Tire, for its 75 years in business in Richmond Heights. It started out on Hoover Avenue, before moving to its current location at Big Bend and Dale. Alex and Aaron Telle are the fourth generation to own the business. Their father, Mark, retired in 2008 and Aaron became president in 2009. The fourth generation officially took over in 2010. Richmond Heights Deputy Mayor Matt Casey said after the council meeting on Tuesday, when officials OK’d a new Total Access Urgent Care, replacing Waldbart Florist and Jon Paul Designs, that it was “difficult to stop the re-development.” He said residents talked about it being a historic building, but that wasn’t enough to save it. “In my mind, it’s not on an historic register anywhere, but it is iconic, and believe me, I would love to see it preserved,” Casey said. “We can only operate within the rule book, and it’s difficult to hinder or stop a private transaction like that.” Asked if the other older buildings in the blocks south of the corner could also be razed for re-development, Casey said those buildings also have no historic status or protection. 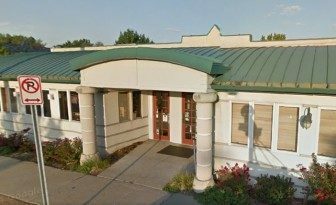 The Richmond Heights City Council on Tuesday let stand planning and zoning’s decision to allow an urgent care business to buy and demolish the building on the southwest corner of Clayton and Big Bend — replacing it with a new Total Access Urgent Care. Any council member could have made a motion to review the decision at a later date, but none did. Deputy Mayor Matt Casey (Mayor Jim Thomson was absent) said he had received quite a few emails opposing the new business. He also noted that the city wasn’t involved in the sale of the building, which went on the market in 2015 and was sold in 2016 to Total Access Urgent Care. He said no tax incentives are involved. The Richmond Heights planning and zoning commission on Thursday OK’d a developer’s plan to raze the building on the southwest corner of Clayton and Big Bend for a new urgent care facility — Total Access Urgent Care. The vote was 6-2, city building/zoning commissioner, David Reary said on Friday. He said the commission understood the feelings of residents who want to let the existing building stand, which houses longtime businesses Waldbart Florist and Jon Paul Designs, but that wasn’t what was before the city. The development required no rezoning; no special use permit for the occupancy. He said the city doesn’t get involved in private contracts or negotiations. The Richmond Heights Planning and Zonning Commission is set to hold a public hearing on a proposal to raze the building at Clayton and Big Bend, to be replaced with an urgent care facility; the meeting is Aug. 24 at 7 p.m. at city hall. According to the proposal to the city of Richmond Heights, the property is now under contract for purchase by TAUC Porperties, the owner of Total Access Urgent Care facilities. The redevelopment would replace the one which now houses Waldbart Florist and Jon Paul Designs — it would “raze the existing derelict building” according to the proposal. 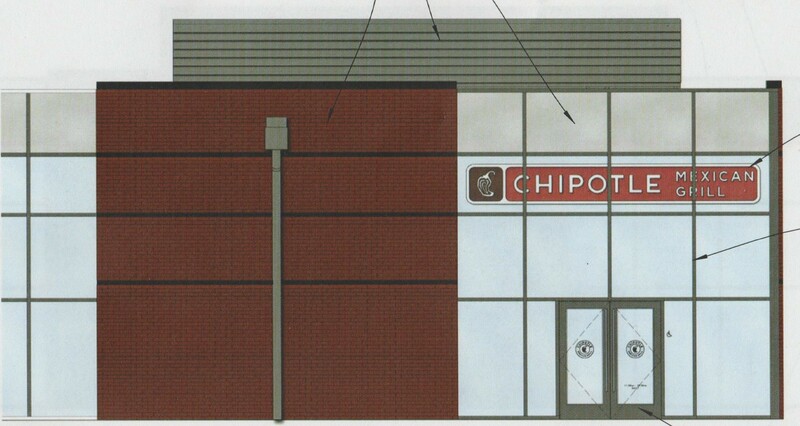 The proposed building has “many nice architectural design features to complement the area,” the proposal says. Richmond Heights plan and zoning is set to meet on August 24 for a public hearing for an urgent care facility on the southwest corner of Big Bend and Clayton. The building would replace the one there now, displacing two longtime Richmond Heights businesses. Waldbart Florist and Jon Paul Designs and Collectibles would be forced to move (which both plan to do if needed) if the city agrees to let the building owner demolish it and replace it with a new Total Access Urgent Care. Waldbart Florist has been at the location 50 years; Jon Paul Designs and Collectibles about 25. The fourth generation Waldbart is the owner of the florist. The former Riverbend Restaurant & Bar and Harvest, at at 1059 S. Big Bend, is set to be Del Pietro’s, a recreation of Del Pietro’s House of Pasta, which opened on Hampton in 1976 and closed in 2011, according to St. Louis Magazine. Mike Del Pietro is the son of the owners of the original. He’s been thinking about doing another Del Pietro’s for years, he told St. Louis Magazine. Around the middle of this month, Parker’s Table (at Oakland and Yale in Richmond Heights) purveyor of wines, beer and specialty foods, will be offering lunch to go made onsite by Salume Beddu. Salume Beddu’s retail business, including sandwiches, salumi, salsiccia, and sides (according to Facebook) will move to Parker’s Table from its location on Hampton, where it’s been since 2010. Salume Beddu will offer will offer antipasti, bruschetta, salumi and other sandwiches, according to shop owner Jonathan Parker. Parker’s Table will also be expanding into the space next door for events, Parker said. He said the expansion will go at a “glacial” pace, which is how he likes it. A Penn Station sub employee, next door, said Pie Five closed on Thursday last week. According to Google, the Richmond Heights location and the one in Chesterfield are both permanently closed. According to Nation’s Restaurant News, the company is in legal and financial trouble. In March the source reported Pie Five closed nine restaurants in Chicago and Minnesota amid a lawsuit from a franchisee who claims the company provided misleading information about sales and profitability, also, a franchisee of locations in Indiana, Illinois and Iowa has sued the chain over disclosures regarding sales and profits. 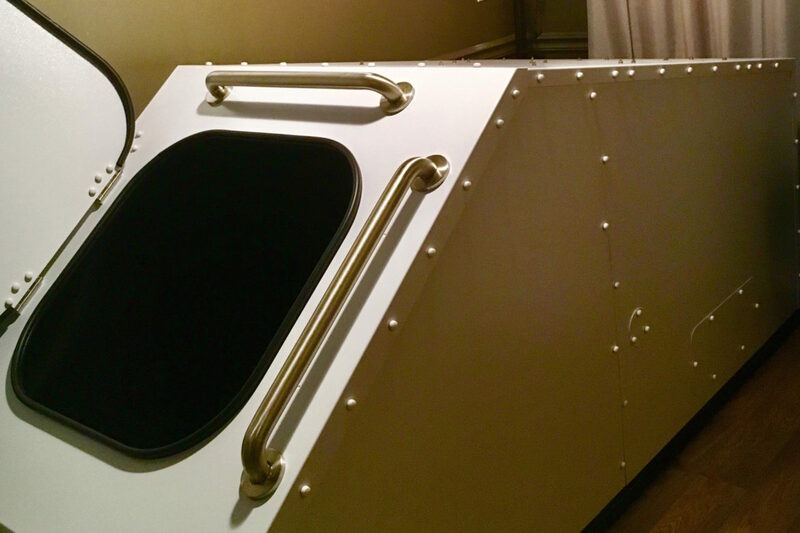 A ‘float clinic,’ the Wise Float Clinic, has opened in Richmond Heights, according to the owner, Jessica Wise, in an email to 40 South. From Wise: Floating is a way to enter a state of deep mental and physical relaxation. Research shows relief from stress, muscular pain, arthritis, insomnia, PTSD, and sports recovery. Floating enhances meditation, memory, and creativity, and can provide a “natural high”. One-hour floats can now be booked online at wisefloatclinic.com. While thieves broke through the front window of the Sprint store in Richmond Heights Tuesday night, it was an accident that caused the broken window at the New Balance store on Big Bend Boulevard, not far away, according to an employee. He said around 10:30 a.m. on Tuesday a man apparently stepped on the gas when he meant to hit the break, and crashed — with a noise ‘like a bomb’ — through the front window. There were no injuries. 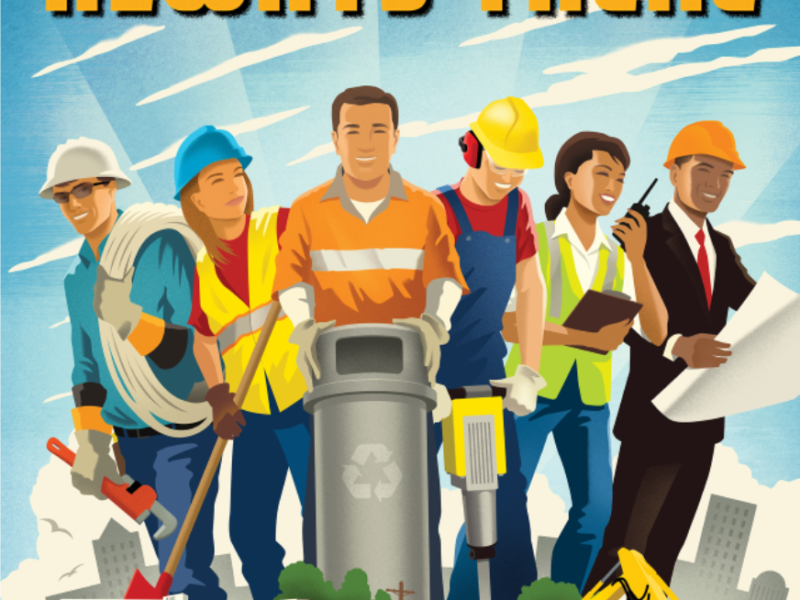 Maplewood Chamber of Commerce director, Jeannine Beck, said in the December newsletter to members that the chamber, which has included Richmond Heights since January 2016, will officially change its name to Mid County Chamber of Commerce in 2017. The members approved the name change in August. The rebranding is the final step to unite businesses in Maplewood and Richmond Heights under one chamber of commerce, Beck said. A new logo and a website (midcountychamber.org — not up yet) will be introduced in January 2017. The businesses below have obtained a business license in Maplewood or Richmond Heights — it doesn’t necessarily mean they have opened. 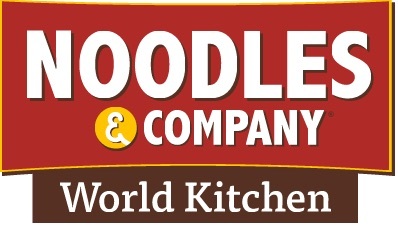 Noodles & Company has announced it will open a new location in Richmond Heights at 1624 South Hanley Road. The grand opening is Nov. 21 at 10:30 a.m.
Before the grand opening, on Nov.